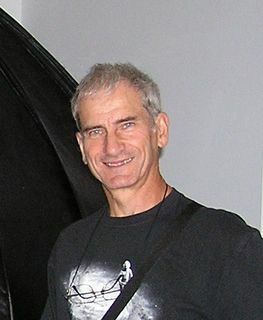 Damien Lemay was born in 1943 at Saint-Édouard de Lotbinière in Quebec. He obtained his bachelor’s degree in physics in 1966 from Laval University in Quebec, and became a telecommunications engineer for Québec-Téléphone (now TELUS-Québec). Lemay made his first forays into astronomy around 1954 at the age of 11. In 1962, he bought his first telescope, a 11.4-centimetre Tasco reflector that he still has today. From 1971 to 1972, he used 7x50 binoculars to observe all the stars in the Norton Star Atlas, from the North Pole to -35° South. In 1973, he took his first long-exposure photos during a guided tour over the night of May 26. Astrophotography quickly became one of Lemay’s passions and he equipped himself, by the end of that same year, with a 20.3-centimetre Schmidt Cassegrain telescope. Lemay was probably the first North American observer to see Nova Cygni in the sky in 1975. A nova is a star that absorbs matter from a neighbouring star, which causes the new host to heat up and suddenly brighten. It is a rare and spectacular event. In 1977, he became the French editor of the National Newsletter of the Royal Astronomical Society of Canada; he would keep this position until 1989. In 1978, Lemay began the daunting task of assembling a photographic atlas of the sky using his 14-centimetre Schmidt camera. He completed the work in 1985 after taking 1,182 photographs. In 1981, he founded the Astronomy Club of Rimouski in Quebec. The club was very active and they twice organized the annual conference of the Amateur Astronomy Federation of Quebec in 1990 and 1997. In 1983, Lemay initiated the first joint meeting of the Royal Astronomical Society of Canada, the Amateur Astronomy Federation of Quebec, and the American Association of Variable Star Observers. The conference took place in Quebec City, and with over 200 participants it was deemed an unequivocal success. From 1990 to 1992, he was the National President of the Royal Astronomical Society of Canada. From 1992 to 2000, he was Codirector, with R. Hawkes, of the Canadian Fireball Reporting Centre. The centre operates from Mount Allison University in New Brunswick, and collects statistical data about falling stars that appear over Canadian skies. The primary goal is to help recover meteorites in the short and long term. In 2001, the centre moved to the University of Calgary where it falls under the responsibility of Alan Hildebrand. In 1996, he was one of the founding members of the virtual group ASTRO & CCD of the Amateur Astronomy Federation of Quebec. The group works solely through the Internet and its members share their digital photos with each other. From 1997 to 2000, he was Chairman of the Meteorite and Impacts Advisory Committee of the Canadian Space Agency. Throughout his years as an amateur astronomer, Lemay has helped newcomers in choosing equipment and learning how to observe the sky, and he gives dozens of lectures and presentations each year at schools, scout camps, parks, etc. He received several provincial and national distinctions in honour of his contributions in astronomy, including the Trophée Méritas ("Méritas Trophy”) from the Amateur Astronomy Federation of Quebec in 1982, and the Chant Medal from the Royal Astronomical Society of Canada.